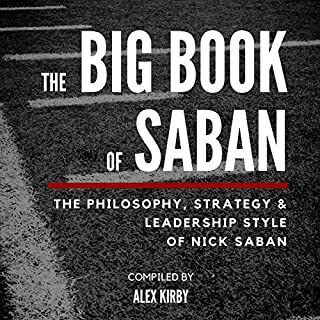 Go inside the head of one of the greatest college football coaches of all time with The Big Book of Saban! 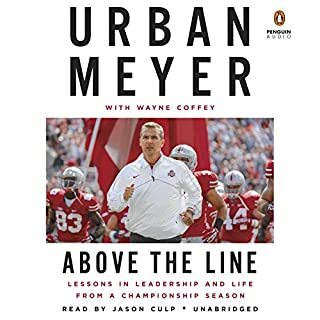 Compiled from years of pubic interviews, this audiobook contains Nick Saban's own words on subjects like leadership, the recruiting process, and the most influential coaches he's worked with. this is merely a collection of quotes. As the head coach of the University of Alabama's football team, Nick Saban is perhaps the most influential - and controversial - man in the sport. Unpredictable in his professional loyalties, uncompromising in his vision, and unyielding in his pursuit of perfection, the highest-paid coach in college football has changed the face of the game. 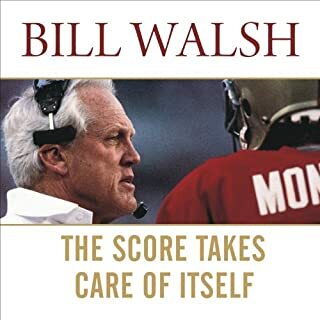 His program-building vision has delivered packed stadiums, rabid fans, legions of detractors, countless NFL draft picks, and a total of four national championships, including three in the last five years. Though a great deal is known about Nick Saban the coach, not much is known about Nick Saban the man. 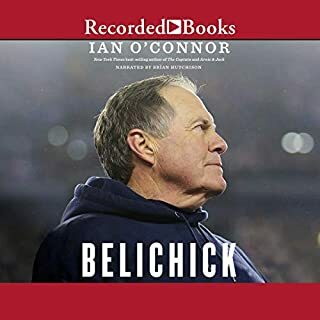 Through unprecedented interviews with more than 250 friends, coworkers, rivals, former players, and others, Monte Burke reveals the defining moments of the coach's life. 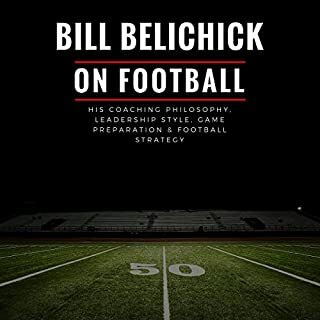 He discusses Saban's rapid and at times rocky ascent up the assistant coaching ranks; his complicated relationship with one of his coaching mentors, Bill Belichick; the birth of his now-famous "process"; his dramatic and controversial departures from three different high-profile football teams; and much more. Saban paints a portrait of a complex and compelling man, fundamentally shaped by both his past and the game he loves, in a way that no previous book has. I can overlook his horrible southern accent imitation and listen to a good story. There was lots of information about Saban's life with Alabama that I had no idea about. It was a very good story & very informative. great insight from one of the best coaches of all time!! great took to understand some tips on recruiting and vision. Whoever hired the guy who narrated this book should be fired. He was awful. He tried to make every southern coach sound like a giant redneck moron. It took everything I had to not turn this off 20 times. His Saban accent was so insulting and degrading. Awful!!! 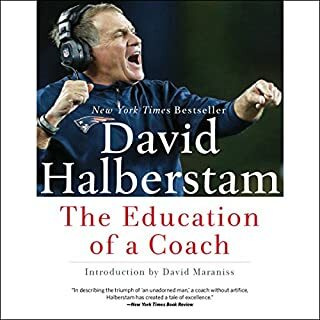 Great character study, not for coaches. I was waiting for 7+ hours for specific insight and points of his “process”....didn’t get it. Maybe if I start eating moon pies and chewing Red Man tobacco, I’ll miraculously become a better coach. Not holding my breath. 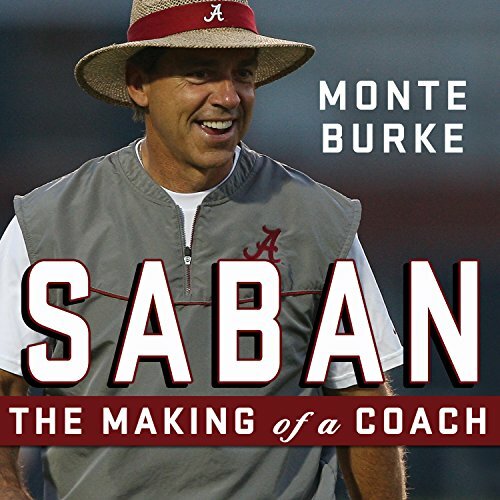 If you want to know more about Saban as an individual, this is a great read. If you are trying to emulate his success in sports or any other arena, I’m sure there are better avenues to travel. Would you consider the audio edition of Saban to be better than the print version? Did Barry Abrams do a good job differentiating all the characters? How? Love the story but the changing of character voices is the worst! Could you see Saban being made into a movie or a TV series? Who should the stars be? learned a lot about Saban. it is disappointing that Saban didn't have much input in book. I did like the fact that the author didn't take a real bysus on Saban. performance of book was good.